The physical environment is noted as one of the most important factors contributing to patient-centered care. Creative Palette knows it’s the little touches that can have the biggest impact when someone is confronting an illness or medical procedure. 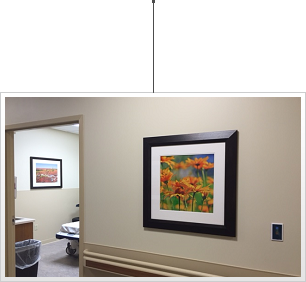 Our selection of artwork, framing and signage solutions provides wayfinding and contributes to a holistic approach to patient care.